India is the 5th largest wind energy market in the world and installed a record ~3000 MW last year. The growth of the Indian wind energy market has been mainly due to the Government policy of supporting green energy through accelerated depreciation. However, this subsidy has come to an end in 2012 as it was mainly supporting investments to lower the tax burden for organizations with the quality of the wind farms quite poor, as investors had little incentive to maximize power generation. 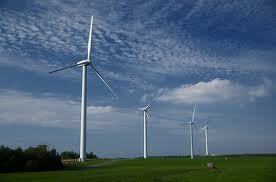 The load factor for Indian wind farms was quite low at 15-20 percent especially for the smaller wind farms. But now with big companies entering the wind farm space and taking the issue of power generation seriously, the game has changed. Also wind turbine technology has improved quite rapidly with wind farms now possible even in areas with low wind speeds. Greenko which is one of India’s biggest green utilities has come out with a statement saying that its costs have fallen below those of thermal power plants. The company says that the reason for the falling costs are low speed wind turbines that it is buying from GE which also manage to give very high load factors in the 30% range. The company also claims a return of 19% on its investment even in the current scenario where the subsidy of accelerated depreciation has been cancelled by the government. The capital cost is slightly higher than fossil fuel power plants but much lower than a solar power plant. For a wind farm, the capital cost ranges between 4.5 crores to 6.85 crores per MW, depending upon the type of turbine, technology, size and location. The Running Cost of a Wind Farm is very low as the fuel cost is zero and operations and maintenance costs are low also. Note the above capacities are till March 31, 2010 and since then the wind capacity has risen by another 1200 MW to reach 13 GW. According to MNRE a total capacity of 13284 MW has been established up to February, 2011, mainly in Tamil Nadu, Gujarat, Maharashtra, Andhra Pradesh, Karnataka and Rajasthan. Wind electric generators of unit sizes between 225 kW and 2.1 MW have been deployed across the country. Greenko began operating its first wind project in Ratnagiri in Maharashtra state this year using 1.6-megawatt GE turbines designed for low winds. That farm is “achieving efficiencies never before seen in India,” with a 30 percent plant load factor, Kolli said today by telephone. That’s a measure of a site’s actual generation compared with its theoretical capacity. The executive didn’t specify the cost of generation, which varies according to state. Estimates from Bloomberg New Energy Finance show the most efficient wind projects in India run at a similar cost to new coal-fed plants. The best projects have a levelized cost of energy, which allows for comparison between different fuel sources, of 2.7 rupees (5 cents) to 4.4 rupees a kilowatt-hour, compared with coal’s 1.9 to 4.8 rupees, Ashish Sethia, an analyst at London-based BNEF, said in a July 3 note.